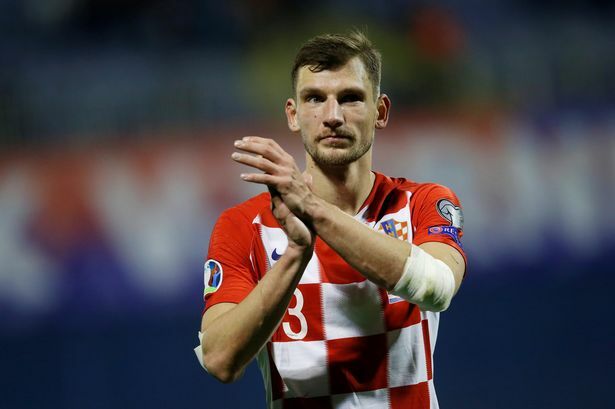 With the internationals well underway, one of Ibrox Noise’s most notable interests last night was seeing how Croat international Borna Barisic did for his latest cap for his nation. His form at Ibrox has been dubious at best, occasionally showing glimpses of that left peg, but generally struggling with the league and the system under Steven Gerrard, especially lacking any major coherence with winger Ryan Kent. So it was with interest we noted his display versus Azerbaijan – after a good start involving one dispossession, his first attacking involvement was a pinpoint cross into the box which Kramaric was just unable to control and finish, before another glorious delivery later for Modric whose header went wide by inches. Then Barisic was in the right place at the right time to smash an open-goal scramble into the roof of the net. His second half involvement was more modest, and Barisic can be overall delighted with his contribution at this level. His one blot? Like his team mates, caught flat-footed after a Croatia corner got intercepted before Sheydaev finished off a right-sided counter with Barisic a mile up the pitch. Not unlike his defending at Ibrox at times! But the risk of attacking football and pressure corners is not leaving enough men at the back to cover counters, and that’s under the instruction of manager Zlatko Dalic. Barisic’s display was widely praised by his country’s media, and while that may be a touch OTT, it was certainly promising. As we say though, overall, a fantastic night for Barisic – not super heavily involved, but his three or four major contributions were excellent, and while we’re not ready to call him Borna Numan just yet, if he can regularly produce this level for Rangers, he might not be a waste of £2M after all. With all due respect he needs to become an established international player before you can put him in that bracket, perhaps after a dozen or so competitive games (and if Croatia are still performing given Modric's astonishing loss of form).